But I DO love the “Flirting the Issue” skirt! I may not be as cute as Anna Maria Horner’s daughter who is modeling the skirt for her in the tutorial (Seriously? Good genes much?) but I think I look nice in mine! As soon as this tutorial popped up a while ago I IMMEDIATELY wanted to make one. I ADORE Anna Maria Horner (have you SEEN her new line?!) and the voiles in her lines are like BUTTAH. So, I obsessed. I obsessed over color. I obsessed over print. I put a million different fabrics in my cart and couldn’t decide. 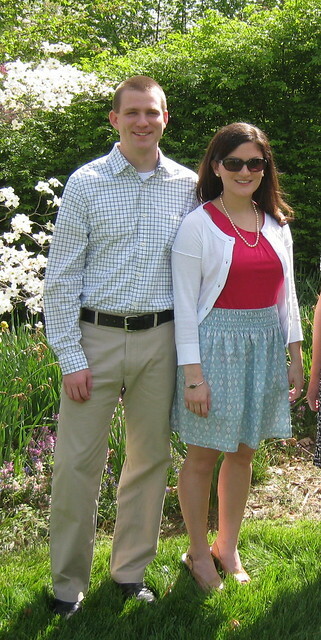 Eventually I realized that I was crazy, that there were no bad choices, and went with a very quiet blue and white combo (shoulda thought about those white legs I’d be sportin’ though). It was a super easy tutorial! Honestly, what took the longest was threading all those elastics through the little casings, but even that wasn’t as bad as I imagined it would be. Sure, my prints aren’t exactly aligned and yes, that is a safety-pin I’m using to mark the back, but I can wear it in public! It needs a label. I know. I married the "one who got away" and try to remember how lucky I am each and every day. 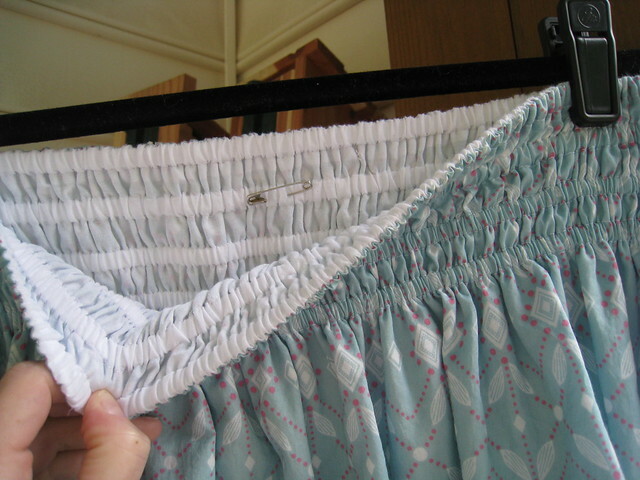 This entry was posted in Finished Projects 2011, Other Sewing and tagged finished projects 2011, sewing, skirts, tutorials. Bookmark the permalink. 7 Responses to A flirt, I am not. Beautiful! That waist looks scary to make, though! You did a beautiful job and you also look so lovely in your skirt! Very cute! Totally impressed that you made a skirt- I’ve never sewn clothes. Cute skirt! 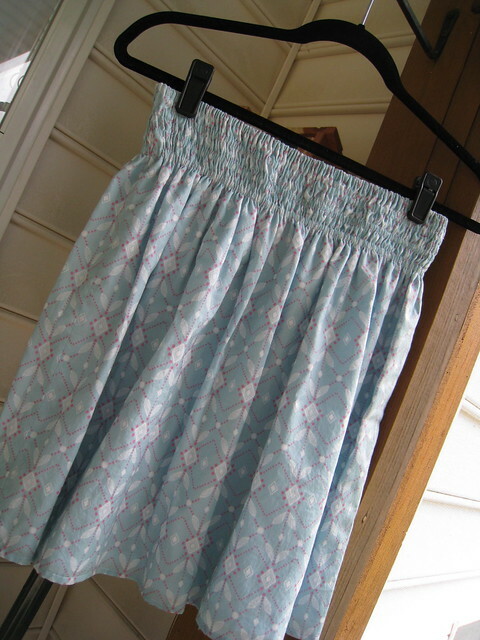 I have several pieces of voile fabric set aside to make this skirt. Can’t wait to try it, once my semester ends next week. How adorable! Your new skill is absolutely amazing!